If you’re one of the twenty million and the rest new Kindle owners, you’re probably ready to load some books. But where do you start? I mean, seriously, in a recent Author Earnings report in from 2016 to early 2017 Amazon sold over 487,298,000 Kindle books. Amazon reported that in 2017 net sales increased 31% to $177.9 billion, compared with $136.0 billion in 2016. Excluding the $210 million favorable impact from year-over-year changes in foreign exchange rates throughout the year, net sales increased 31% compared with 2016. Operating income decreased 2% to $4.1 billion, compared with operating income of $4.2 billion in 2016. Here’s an idea. Fourteen authors have sold more than a million eBooks each on Kindle. Type the following names into your Kindle search or mobile kindle reader and you’ll find their catalog of eBooks. Some are more expensive than others, but these are the top-selling authors, so their books are almost certainly worth the price. In the spirit of full disclosure, I’m Diane Shawe, and I would like to get on the above list. I recommend you buy their books first, because you probably already know and love them. Buy as many of their books as you can afford. Then, if you’ve got some dollars left over, I recommend you give one of my books a try. You see, I have over 13 eBooks on various topics. 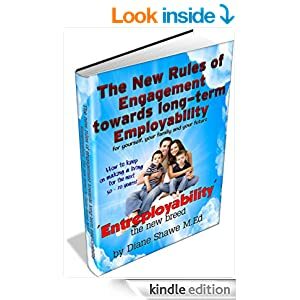 📚#DianeShawe published #Author on #Amazon and #GoogleBooks has written 15 Must-Own Books No Serious #Entrepreneur Should Ignore. 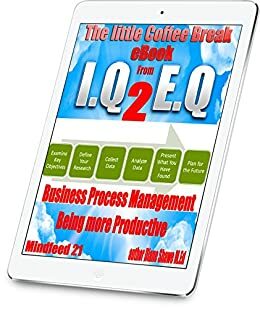 The Little Coffee Break #Mindfeed eBooks from 💡IQ 2 EQ is a collection of eBooks 30 minutes read. http://www.free-web-submission.co.uk/blog/big-list-of-best-backlinks-for-your-website/ and decided to share it with my blog followers. In this post I’ll show you how to get some top quality back links (a hyper link from one site to another) from a variety of different sources, each source is completely unique and I hope to give you a little insight into some of the methods you can use to create back links . When linking to your website you should always try to focus the links using your keywords in the anchor text of the link if it’s possible. The big G allows you to create your very own profile page on Google.com, use the link and create your own profile page, add a picture and some text about yourself and then add a few links to your websites. Save the page and your done. You can get a back link from this very page and lots of other too. All you need to do is leave a comment at the end of the article where it says comments. Big Backlink List) Credit goes to ideapro for creating the original list. Hope you like the list, I’m sure it will help in your back linking efforts. Knowing where you can get your leads from is important to help streamline new enquiries each week. This allows you to plan your search mission properly, giving you better results. Sometimes we can focus too much on social media and get very little quality response from people who want to spend money instead of just clicking the like button. So lets take a look at 10 sources, some of which you might be already familiar with, but when you combine them it can be a powerful source of new leads each month, It also helps with your search engine optimisation. One of the easiest sources of leads is your own friends and family. Get them to know about your business and your products. Even if they are not interested, they are more likely to introduce someone who might be interested in your products to you. Obtain support from your friends and family while not sounding too pushy or too desperate. You could also offer an incentive such as a free treatment or discount the next time they use or buy your services. Most people don’t spend any time being present at their college’s or university’s alumni events and interact with other participants. Exchange business cards and explore each other’s interests. Invite them to visit your websites or link in with you at your social media links and keep in touch with those who might be interested in your products after the event by sending them emails. Depending on the type of business you are in, you might want to consider joining the trade associations (e.g. Federation of Small Business Owners) to meet more like-minded people who could also offer you leads. Don’t forget that you can also offer them referrals also. Putting classified ads on newspaper is a conventional source of leads and we know a lot of people don’t buy newspapers anymore, but you could also advertise in email newsletters or other people’s blogs. In your advertisement, use a compelling headline, make an irresistible offer as well as a direct way to contact you. Having a website which contains information about your products and services can generate leads. Having your own blog is a good idea. Do ride on the popularity of social network such as Facebook Instagram and Twitter. Update your website and social media frequently to show that you are excited about your products. Post up interesting news or comments to communicate with your followers. Referral marketing is one of the most cost-effective and the referral-generated client also tend to be more loyal and profitable. Develop a referral system where you reward your customers with incentive or additional products with every referral. There are lots of voucher and coupon website online where you can add your own offers. During the start of your business, you can purchase leads from lead vendors. The best type of leads to get are those that contain email addresses. If you have a blog account you can then registered your leads and post blogs, useful information to them and give them the opportunity to opt in or out of your list. Another quick way to obtain leads is by creating a symbiotic partnership with other internet marketers, i.e. you help them earn money while they become your source of leads. You could do something as simple as swapping links on your website. Remember that if you have a lot of followers, this could be very enticing to potential partners. Specialist business directories is also worth registering with. Some of them are fr If you can show up in more search engine searches on different site. Directories are often very well optimised and if your registered in them then there is a better chance of you finding new leads. Youtube is the second largest search engine in the world. Uploading a video which could deal with topics such as ‘How to’ or ‘Latest Trends’ could become very popular in your region. Make sure you use the description box effectively. Just test it, put in a search terms in Google and see which videos come up. This is a free service, you register your business, they send you a postcard with a code to verify your business, you post updates, videos, pictures, blogs a very effective tool. Many times the biggest headache for businesses has nothing to do with the products or the services offered, but due to the lack of leads and the inability to convert them. Why is it that some businesses not only can generate hundreds of leads daily but also get to retain them for years? What are their secrets? It is a must to let your leads know that you still exist. Update your leads on what you are up to lately and what is your next plan. You can also offer a preview to your next products. Do this by posting blog articles or through social networking sites such as Twitter and Facebook. In essence this is to keep your leads hyped up about your business while you are preparing your next product / project for launch. Call or email your leads every 2 – 3 months so that you and your business stay fresh in their minds. Listen to the comments and feedback of your leads on your current performance. Engage them in discussions and do something to address their concerns. Make them part of your decision-making process for your next products. Your messages and blog articles need to give some personal touches to your leads. Customise your messages and engage their thoughts rather than using generic messages to thank or reply to an issue. If possible, for free. Find out what kind of information they are looking for and make them available on your website. It is a free yet efficient lead generation tool. If someone reads the content on your website and likes it, they will be likely to give you their contact details in return of more educational material from you. There you go – an extra lead for today! If you really offer good quality materials, chances are they will come back again next time. This is a simple step yet many people do not do it. You need to keep directing your leads to your leads capture page to obtain their contacts. How? Share your links out – always include it In all your emails, put it on your name cards, etc. Follicular unit transplantation (FUT) is a hair restoration technique, also known as the strip procedure, where a patient’s hair is transplanted in naturally occurring groups of 1 to 4 hairs, called follicular units. Follicular units also contain sebaceous (oil) glands, nerves, a small muscle, and occasional fine vellus hairs. In follicular unit transplantation, these small units allow the surgeon to safely transplant thousands of grafts in a single session, which maximizes the cosmetic impact of the procedure. Additionally it is recorded that the risk of long term nerve damage, leading to chronic numbness and/or pain in the donor area can be a side effect of the FUT procedure. Follicular unit extraction (FUE) is a great surgical option for patients who want to restore their hair with minimal discomfort and scarring. FUE is considered by many to be the most refined approach to hair transplantation. FUE provides an alternative to FUT when the scalp is too tight for a strip excision and enables a hair transplant surgeon to harvest finer hair from the nape of the neck to be used at the hairline or for eyebrows. Follicular unit extraction (FUE) generally has a quicker patient recovery time and significantly lower post-operative discomfort than follicular unit transplantation (FUT). The survival of follicular units upon extraction (FUE) from the scalp is one of the key variables of successful hair transplantation. If follicular units are transected in the extraction process, there is a greater likelihood that they will not survive the transplant, and the hair transplant will fail. While FUT procedures using strip-harvesting of follicular units typically guarantees a large number of non-transected follicular units. It really depends on the client and the overall visual outcome they want to achieve as to which technique they use and how deep their pockets are. However there are some new non evasive hair enhancement toupee in the market place which provide instant gratification and is easy on the pocket. If you would like to receive a referral or consultation give us a call. 0121 318 2880 for hair enhancement or training courses. I hope you’re feeling thrilled about your future prospects for 2019 and make amazing things happen. Like you some of us found 2018 rather challenging, but it has helped to shape us into who we will be over 2019. Here is a list of 5 things to put in place this month to help you focus and become more disciplined. A little tip, use your mobile phone diary to set up reminders. Think about the year ahead and ask yourself what one word would best represent your dreams and direction for 2019. This is a powerful practice because no matter how busy or scattered we may get at various points in our 365 day journey, we’ll always have our word to hold onto and guide us through. Take some time and really reflect on which word holds the most meaning to you in the pursuit of your personal goals. Then take a piece of paper, write your word on it and hang it where you can see it every day. You’ll find that more and more, your thoughts, decisions, and actions in the new year will flow in harmony with your word. As entrepreneurs, we know that reading great books for our personal and business development is essential if we really want to take things to a new level each year. However, if you’re like most entrepreneurs, you probably have a mountain of books that you are still intending to read and you know you have to be more selective about exactly which books you’re going to focus on (and implement!) in the year ahead. So in 2019, instead of getting overwhelmed by it all, get intentional and put together a reading plan. Which particular books will help me the most right now? What area of my business am I resisting due to lack of knowledge? Are there any books that I should read again and implement better this time? With the beginning of a new year, it’s exciting to launch into everything we want to do all at once to improve our lives and our businesses, but that’s a recipe for getting quite overwhelmed and discouraged before too long. There is so much value in focusing on one thing at a time. It’s better to work on 12 habits or goals one at a time, month by month, and successfully achieve them all in a year, than it is to work on everything all at once and only be able to to finish 2 or 3 due to lack of focus. One of the things we love most about a new year is the feeling of a fresh start that it brings. Use the momentum of starting fresh to face a fear and do something you were afraid to do in 2018. It’s so important to set your goals around money and map out your plans for how you’re going to achieve them. Money loves clarity and the more clear you are about how much you want your business to grow and how you’re going to make it happen, the more you can expect to see results! 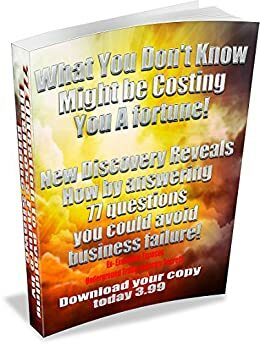 First, identify how much money you want to make in your business over the next 90 days. Working from the framework of a 90 day goal is particularly effective because it’s not too long or too short when it comes to achieving something amazing, so don’t be afraid to dream a little bit out of your comfort zone. January felt like an entire year and February has finally arrived– a major feat if you ask us. There’s much to be considered during the shortest month of the year, but more often than not, Valentine’s Day hair and makeup ideas are something that have probably crossed your mind. If not, social media has already reminded you and now, you either could care less or are making plans to woo or be wooed by a bae. If you’re part of the latter, that may include stepping out of the house and doing anything from a fancy dinner with your special someone to a night out with your other single friends. Regardless of where you’re headed, a face beat to the gawds or hair snatched into a camera-ready ‘do never hurt. To be honest, we’re all for getting dolled up any day of the week, including holidays. This one is practically synonymous with red lipstick and well, not much else. So instead of sticking to the status quo, we’ve got some seriously stunning inspo that go beyond the basic. From micro-braids tied into a glittery bow to blended-out red eyeshadow, here are some hair and makeup combos we’re this close to trying ourselves. If you’re leaving your makeup neutral like Zoe Kravitz and would rather put more effort–but not too much effort–into your hair, a blinged-out hair bow gets the job done in seconds. Michael Kovac/Getty Images for Moet & Chandon. When you want to keep hair out of your face, but still have something to run your fingers through, may we suggest a high ponytail with serious inches, a la Ciara? Kevin Mazur/Getty Images for Fenty Beauty. Leave it to Rihanna to remind us of the ever-elusive power of a pink lipstick (probably from Fenty Beauty) and tousled hair waves. We can’t think of a better combo than foiled, silver eyeshadow surrounding a set of brilliant brown eyes. Combined with a glossy lip and few coats of mascara and you’re as good as gold. Emma McIntyre/Getty Images for GLSEN. We didn’t think Bettie Page bangs could get any cuter, until we saw this textured variation modeled by Yara Shahidi. Michael Kovac/Getty Images for LACMA. Once you can get over this perfect blunt bob, get into the rosy eyeshadow and matching lipstick against Kiki Layne’s gorgeous brown skin. Dimitrios Kambouris/Getty Images for Glamour. Effortless may just be a pipe dream, but you’ll get pretty close if you throw your hair into some pigtails like Janelle Monae and opt for under-liner, which can be as attention-grabbing as a face full of makeup. Red lipstick is classic, but why not take it to new heights with matching red eyeshadow and a bit of shimmer just because? Margot Robbie totally gets it. Vanessa Hudgens knows the power of Pantone’s color of the year. So much so, that she delivered top-notch beauty goals in head-to-toe coral. A sophisticated updo like Danai Gurira’s will never not look beautiful. If you’re not into building color on top of color, blend it out instead and pair with a glossy lip like Lili Reinhart. Kevin Mazur/Getty Images for The Critics’ Choice Awards. How could you not be inspired to dress up like a bonafide queen after seeing Indya Moore in a bordeaux lip and updo accessorized with gold rings? There’s a wide spectrum of effortless, I-woke-up-like-this ponytails out there, but one of our faves is the one that houses lived-in beach waves, like this one on Olivia Munn. Though we’re always enamored with Lady Gaga’s makeup, there’s no denying the can’t-look-away appeal of this low bun, which resembles the type of flowers you’d get in a Valentine’s Day bouquet. When all else fails and your creative muscles need rest, match your outfit to your makeup like Emmy Rossum. The more curls, the better…at least according to us and Amber Heard. Kristen Cavallari’s shoulder-length, uniform waves are taking us back in time. Kelly Rowland’s light pink lip and half-up, half-down do is a look we’d wear every single day of the year. If your hair extension studio is a real under-cutter, care will have to be taken to keep costs as low as realistic as possible. Don’t be shy when it comes to taking money for your services. Charge for the value of the benefits that you offer. You must put a value on your services; look at your type of clientele, hair extension location, experience of employees, your clients’ needs and, the prices of the competition. Price is sometimes seen as a sign of quality and value. Price can attract like-minded customers. They think that because your prices are high, the technician in your hair extension studio must be good. If your prices are high, it is important to promote to the high paying customers, the value of your service. There are a lot of competitors, so low prices alone, might not be enough to keep the low paying customers coming back. Clients who look for bargains are not only looking for low prices, but they want to get great results too. You must determine how much value you can offer. To be of value to clients, you must know what the clients’ needs are. Understand what benefits they wish to receive, what pain they want to relieve. The benefits they want might be a quick service with no waiting, or it could be that they want an expert doing their hair. They might prefer certain products used on their hair, or to know that they can be squeezed in at short notice occasionally. Their pain might be that they begrudge spending time on their hair, or that they loathe technicians who don’t listen to them. It might be that they just haven’t found the right retail products to use at home. Profit margins will be low, so a lot of clients will have to go through the hair extension studio, just for you to be able to pay the overheads. It will most likely mean offering fewer services and probably, rushing clients through. Even the employees will have to be paid a low salary. In some cases, this could mean that the employees are much less experienced than you may like. You really need to decide on what sort of employees you want in your hair extension studio. 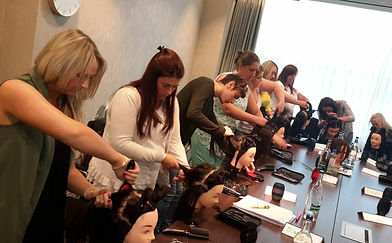 You will find that the best technicians won’t want to work in a cheap hair extensions studio. Not only would it hurt their reputations, but they wouldn’t work for a low salary. Your clientele will most likely be bargain hunters who probably won’t spend on retail products either. If your employees have exceptional skills or experience, you can charge more. If you promote these benefits well, you’ll find that clients don’t mind paying extra. A lot of clients don’t mind paying for the name, or the prestige. 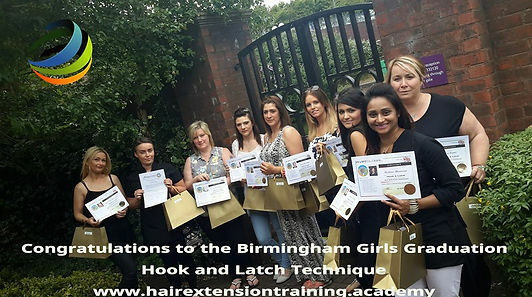 Some hair extension studios charge by the experience of the hair technician performing the service. As employees reach certain levels of experience, they charge more. This seems to work very well for them. Download this free guide today. The NHS should fund real hair wigs for people with alopecia and better recognise the psychological impacts, people with the condition have said. Julie Mees was diagnosed more than two years ago after her mother noticed a bald patch the size of a coin on the back of her head.The hair loss has since worsened, and she will eventually be completely bald.NHS Wales funds wigs for patients with hair loss but they are often made with synthetic hair. The Welsh Government said health boards were given a list of approved suppliers to choose from for patients who have alopecia, burns or have lost hair because of treatments such as chemotherapy. They also help patients with fitting and styling.But it is up to each health board how much funding they provide – meaning people in some areas could be offered more to buy a wig than others. Former lecturer Ms Mees, from Barry, said the £50 voucher she was given would only buy a synthetic wig from a specific shop, and she was not able to offset that against the cost of going private. She saved £600 of her own money for a real hair topper – a type of mini wig. “They give you a voucher to take to a shop for what I call a ‘wiggy wig’… like a fancy dress costume, which look awful and do absolutely nothing for the person’s emotional and psychological needs,” she said. “Your hair is the first thing people see… I’ve always had long hair, it’s part of my identity. Ms Mees added those overwhelmed by the search for good quality wigs could end up paying over the odds, and she had since found a supplier for half the price she originally paid. Diane Shawe Top Hair Extensions and Hairloss Educator, Consultant and author in two of her recent blogs about hairloss tackled the subject of wigs. Moira Jones’ 18-year-old son Thomas Barry, from Cardiff, has had alopecia universalis – complete loss of hair from the scalp and body. He started losing his hair when he was 11, and it was gone within three months. Doctors believe his body is producing an allergic reaction, reacting as though hair is a disease – but no treatment has helped so far. Ms Jones has paid more than £2,000 for two wigs for her son but neither was suitable. She said she was not helped by the NHS in her search and her son has never been offered counselling.”He was really strong, stronger than everybody else around him,” she added. Thomas wore two beanie hats – in case one fell off – to hide his scalp during his teenage years, even during sleepovers and in the heat of summer. When he went to Camp America last summer, his hair began to grow back in the sunshine – but fell out on his return to the UK. While Thomas’ experiences abroad have given him the confidence to go without a hat at university, Ms Jones feels the family should have received more support. Betsi Cadwaladr, Cwm Taf, Hywel Dda, Abertawe Bro Morgannwg and Aneurin Bevan health boards said they fund two wigs per person annually. They said all suppliers go through a procurement process to ensure quality. Cardiff and Vale and Powys health boards were also asked to comment. 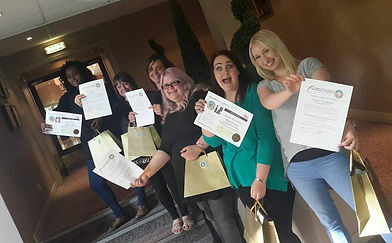 Amy Johnson, from the charity Alopecia UK , said: “For many people with alopecia, wearing a wig is an essential part of managing the psychological impact of losing their hair; those who wear wigs for medical necessity don’t see their wig as an optional luxury. 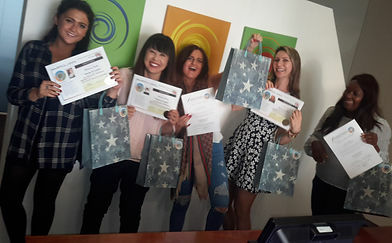 For over 25 years we have been assisting clients and training students to work with clients around the world who have found that health issues have contributed to their Hair Loss Challenges. Before I delve into my article, we can offer expert advice and guidance to Alopecia, Chemotherapy & Hair Loss condition customers. We pride ourselves on our exceptional Customer Services Team and we are all dedicated to help you find the right wig, hairpiece or head wear to match your requirements. Call us if you are overwhelmed by the world of wigs and hair pieces along with the countless accessories. If you would prefer to speak to a member of our team, we can be reached on 0121 318 2880. We also provide a private consultation and treatment room and can supply bespoke or quality systems to help make your daily presentation to the public as natural as possible. What is the difference between Silk Base Wigs and Regular Lace Wigs? Lets talk about silk first of all and why it is such a good base for certain wigs and hair frontal pieces. Benefits of silk base wigs and why Alopecia, Chemotherapy & Hair Loss condition customers should use these types of wigs. 2. Silk is free of any chemicals and contains only natural substances. Silk fibre is like human hair. It is 97% protein, 3% fat and wax, it has 18 amino acids, which have a positive effect on a person’s skin. 3. Silk is very strong natural fibre despite its delicate appearance. The strength of a silk thread is equal to the strength of a steel wire of the same diameter. So the fabric is really durable and retains its beauty for years. 5. Silk helps decrease skin’s loss of moisture and because of this promotes rejuvenation of the skin, prevents to some degree effects of aging and relieves dry, flaky skin conditions by locking moisture in and ensuring it stays on your skin. 6. Silk keeps you cool on hot days and preserves your body heat in the cold. It perfectly adjusts to the body temperature and provides thermal balance. 7. Silk is highly absorbent and dries fast. It absorbs moisture up to 30% of its own weight and remains dry to the touch. At the same time silk thread simply increases in size, and good air circulation promotes rapid evaporation of excessive moisture. So, silk fabric absorbs perspiration while letting the skin breathe. 8. Silk bedding helps keep hair moisturized and free of tangles, on silk pillowcase hair will not bunch and knot but will glide over the surface instead. 9. Silk fabric is prized for its shimmering appearance and doesn’t lose its natural sheen with time. 10. Silk doesn’t create static electricity easily, so it doesn’t cling to your body and an iron when you press it. 11. Silk fibre is naturally elastic and can stretch up to 20% without breaking. Silk Top Lace Wigs are the most realistic lace wig caps on the market today. What is a Silk Top Wig? Silk Top Wigs also known as Silk Base Wigs are when knots are hidden by a layer of lace, and silk fabric on the top front of the cap. When the hair is knotted, the knots are below the silk concealed between the layers, the hair is then injected through the silk material making the knots 100% invisible, giving the illusion that the hair is actually growing out of your scalp. There is no other ventilation technique that creates a more flawless appearance than hidden knots on a silk top, you don’t need to bleach the knots, you don’t need to worry about any other techniques to make the knots invisible or less visible. These are made in a different way. The net used is made of silk thread and the hair is knotted directly through the silk lace. The look is not as flawless but the advantage of this is that it allows the hair or skin to breath especially if the clients scalp is very sensitive. This is a wefted wig that features an inset of transparent micro-mesh sewn in at the crown, with the individual strands of synthetic fibre or human hair hand-tied into the mesh. Mono-top wigs are generally more natural-looking, as the hair appears to be growing out of a real scalp. This type of cap was first developed for women who had experienced significant hair loss due to chemotherapy, alopecia, or other medical reasons, as the transparent mesh allowed the bare scalp to show through. You may sometimes see mono-top wigs referred to as “medical wigs” for this reason. However, many women with full heads of hair prefer the mono-top wigs for their superior natural appearance. With a mono-top wig, the hair can be more sharply parted on either side of the head than with a conventional wefted cap wig. Generally, mono-top wigs are recognised as a higher quality wig product, and are more expensive than standard wefted cap wigs. A slightly less expensive alternative is a wig featuring a monofilament part, rather than a full monofilament top. “Monofilament wigs provide one of the most durable natural looks” These are wigs that have a thin strip of monofilament mesh sewn in just at the left, right, or centre part line. In these cases, the location of the part cannot be changed. However some of the monofilament wigs can contribute to the head sweating and even itching if ones scalp is very sensitive to some of the nylons used the weft the rest of the wig. Monofilament wigs are specially designed for those with severe or total hair loss. Most of their advantages are in comfort, but there are some advantages to their natural styling ease as well. All of the comfort advantages are brought back to square one, if you have a full or average head of hair. You will have to decide if the styling advantages are worth the additional cost of a mono wig. Synthetic vs Human Hair: Which One is Better and what has changed? It goes without saying, human hair are generally more expensive than synthetic fibre. But a lot has changed since the era of the fun synthetic wigs and I will present both senerios for you to decide. Well we all have hair on our head or someone else’s head were we can see and feel quality hair. Not everyone’s hair looks and feels the same this is why people spend thousands of pounds enhancing what they have either chemically, shampoos and conditions or hair extensions and wigs. Just like some people we meet with thick luscious flowing hair, we can also see people with thin lack lustra hair. Within the real hair manufacturing we can also see some of these sensoria’s being played out in the time and effort utilised to produce hair that is either cuticle correct or not. Remy human hair is considered a premium option because all the cuticles are kept in the same direction on production which generally makes the hair easier to style and tangles much less. Human hair is remarkably soft with a sheen and movement not easily replicated in the past until now. So as we all know, human hair wigs and extensions are more expensive especially if your purchase premium quality stock! But is it also takes much more time to style and care for. Since it is natural hair, you have to keep it hydrated because central heating, air conditioning and electric lighting dries it out which speeds up matting and sometime static. You have to style it each time you wear it just like you would your own natural hair. The style doesn’t really hold like a synthetic wig would. If you have a busy lifestyle or a tight budget, this may not be the choice for you. And just like natural hair, human hair will react to weather conditions and will go flat or frizz as the weather dictates. Synthetic hair has come a long way in the past 10 years. Because of the high demand around the world for fashion wigs, the focus has been on perfecting synthetic hair fibre to look and behave just like human hair. And the results have been amazing. They have been created from a High Temperature Heat Resistant fibre which can be curled or straightened. The look is pretty indistinguishable from human hair wigs and the feel is pretty darn close! The fact that most synthetic wigs can be worn right out of the box with minimal or no styling requirements makes it a more attractive choice. And, unlike human hair, synthetic hair will hold its style regardless of the climate. The curl pattern or style is basically baked right in to the wig and will not change no matter how terrible the weather is. The other advantage is that they done dehydrate and you done have to spend lots of money on moisturing and holding style products. Some of these wigs are now being produced on lace frontals so as to give hair lines and parting a more realistic look. The only disadvantage we can come up with is if you want to change the style of the wig, you really need to know what you are doing. If you get it wrong, your wig could end up looking clumpy and heavy. You also have to be careful to read the maximum temperature you can use on this product because if you get it too hot you could lose the look of the wigs style completely. 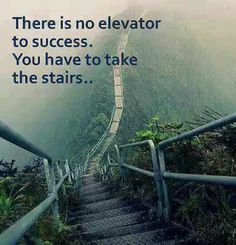 Now I am no Financial expert, but I do know one thing, most of us want financial security, most of us would like more money, most of us with any money wants to increase it, and the internet is riff with the good bad and ugly tips, advice and dangers about letting go of your hard earned cash. I am a business entrepreneur, out there it is hard to raise small and proper investment that is not going to cripple your business or if your time sensitive and need to make critical investments that will impact the growth of your business, jumping through months of investigative hoops by funding administrator (who are important) could loose you that business opportunity. So I started to check out alternate and then looked at the savers out there and shook my head at the very low returns they received from there banks savings. I also saw the levels of complaints from some of them who lost thousands from these online trading platforms. Saving – is putting money aside, bit by bit. You usually save up to pay for something specific, like a holiday, a deposit on a home, or to cover any emergencies that might crop up, like a broken boiler. Saving usually means putting your money into cash products, such as a savings account in a bank or building society. Because of persistent low interest rates anyone looking for decent Returns that are also safe has had a tough time for several years most of the best saving accounts for instance don’t even top 1.5% annual yield. Investing – is taking some of your money and trying to make it grow by buying things you think will increase in value. For example, you might invest in stocks, property, businesses or shares in a fund. What is peer to peer investing it is a practice of investing money in notes issued by Borrowers who are requesting a loan without going through the traditional financial intermediaries and who are known to the Investor there is an individual investor and an individual borrower. The key characteristics of peer to peer lending are it is conducted for profits so there is no necessary common Bond or prior relationship between lender and borrower 3 into mediation takes place by peer to peer lending company for transaction takes place online or in-person 5 lenders may choose which borrow to invest in the loans are unsecured and not protected by government insurance The loans are securities that can be sold to other lenders. 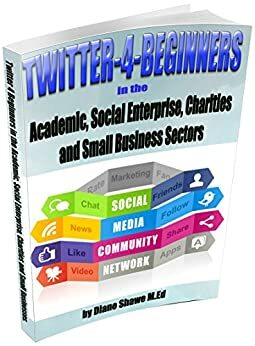 We have seen the growth of online Crowd funding platforms they are great for the long term business startup planner but ineffective for established businesses that need investment to move on a business opportunity. So what are the benefits of fixed interest investment in addition to the benefits of capital appreciation fixed income securities provide investors with a steady stream of income generated from a portfolio balance. Creating a consistent cash inflow to the Investor. One advantage of investing in fixed income securities is the peace of mind that comes from the stable portfolio balance and capital preservation by definition fixed income securities are required to repay the original amount of the Investment known as the principal balance in full at a specific date in the future or in increments spread over the duration of the investment. Fixed income is a type of investment in which real return rates or periodical income is received at regular intervals and at reasonable predictable levels fixed income investment can be used to diversify one’s portfolio as they pose less risky than equity and derivative investments. Best investment plans for fixed income further the recent tumbling of the economy has bought the attention of investors from equity orientated plans to fixed income plans especially for those who are on the verge of retirement or those wanting a better return on their money than what the banks are offering. Simply put fixed income plans use regular Returns in the form of fixed income.